"This is the fast and easy chop suey recipe that my mother always made, and we love it 'as is', but you could substitute a can of Chinese mixed vegetables for the bean sprouts if you like more color and texture. 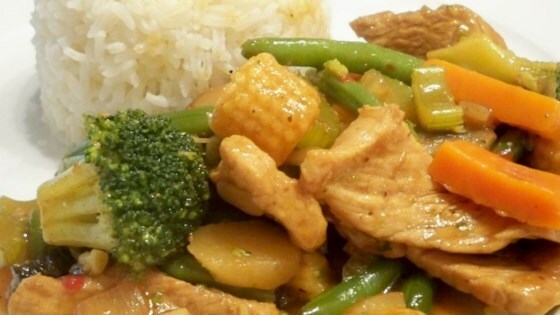 Serve over hot rice, topped with chow mein noodles and soy sauce, if desired." Crisp, juicy and tender just like Grandma used to make.